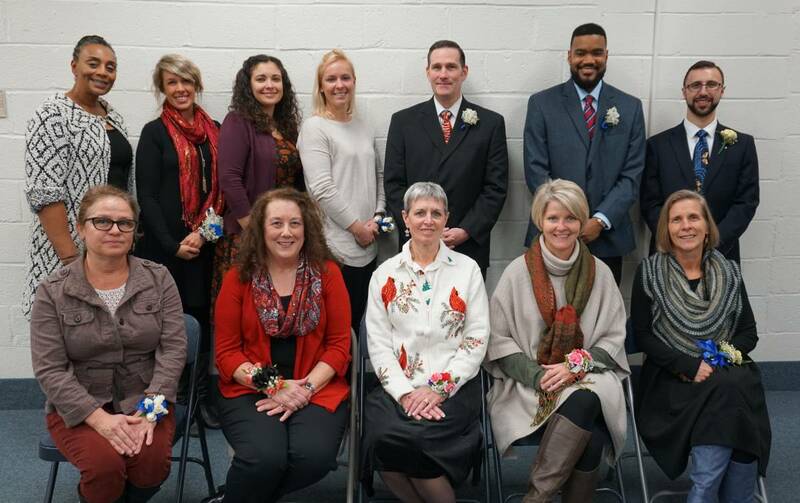 The Board of Education of Calvert County Public Schools recently recognized Employees of the Month for the month of November. Schools receive points based on their results on the performance indicators. Educators and parents will be able to view a brief summary of performance by looking at a school's star rating, which tallies the school's total earned points percent and issues a rating from 1 to 5 stars; the percentile rank, which is how a school performed in comparison to other schools in the category; and the total earned points percent, which is the total number of points earned by the school across the measures, divided by the total possible points. Dr. Daniel D. Curry, Superintendent, said, "Calvert County can feel proud of all of its schools' performance. This new report card covers a ton of good data and will shine light on some things that each school can improve upon." "Our goal is to improve every school throughout our state and prepare every student for a bright future," said Dr. Karen Salmon, State Superintendent of Schools. "The new Maryland Report Card will help parents, educators, policymakers and the general public gain a better understanding about how each school is doing based on our accountability measures. Together, we are working toward making sure our schools are the best they can be." Tracy H. McGuire, President of the Board of Education, said, "I believe Ms. Cousins will bring to the MABE Board of Directors the same exemplary qualities she demonstrates on our Board: professionalism, commitment to student achievement and equity, and an unerring capacity to identify what matters for public education." Ms. Cousins was elected to the Calvert County Board of Education in 2015 and stepped into the role of Vice President. She served as President from 2016-2017. Her dedication to the work of the Board is driven by her passion for equity and community service and is enhanced by her leadership experience in her career in cybersecurity. She is involved in numerous community organizations, including the National Society of Black Engineers Jr. and the Concerned Black Women of Calvert County. Ms. Cousins was named the 2015 Citizen of the Year for Calvert County by the Omega Psi Phi Fraternity, Inc.—Tau Lambda Lambda Chapter and presented the 2016 Outstanding Achievement Award for Advocacy by the Calvert County Commission for Women. Calvert High School teacher Casie Reynolds is the recipient of the 2018 Outstanding Mathematics Educator award by the Maryland Council of Teachers of Mathematics (MCTM). Reynolds, who is the winning high school teacher, was honored last night along with the winners in five other categories at the MCTM Annual Meeting and Awards Banquet. Dr. Steve Lucas, principal of Calvert High School, said, "She is an exemplary professional who not only sets the standard for instruction, but models the highest levels of emotional intelligence. She is one of the hardest working members of the staff, is mission oriented, and sets the standard for solving problems and accomplishing objectives. Ms. Reynolds is always someone who can figure out how to get something done rather than be denied by obstacles. She takes initiative, responsibility, and ownership 100% of the time." Reynolds is currently in her fourteenth year of teaching in Calvert County Public Schools. She spent the first ten years of her career at Patuxent High before moving to Calvert High. In addition to teaching Algebra 1 and Advanced Placement Calculus BC, she serves as the core lead for the math department. A leader at both the school and district levels, she establishes and shares effective classroom practices and remains focused on educating and supporting students. Although she loves math, her favorite aspect of teaching is creating a rapport and lasting connections with her students. 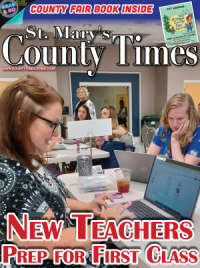 "She has a natural talent for building strong, authentic relationships with her students," said Joe Sutton, Supervisor of Secondary Math, "and is a selfless teacher and leader who puts others before herself as she works for the benefit of her department." The Outstanding Mathematics Educator Award is given to mathematics teachers across the state who exemplify excellence in mathematics education by implementing research-informed practices in their daily work. The Maryland Council of Teachers of Mathematics is a public voice of mathematics education, inspiring vision, providing leadership, offering professional development, and supporting equitable mathematics learning of the highest quality for all students. Two seniors from Calvert County Public Schools have been selected as student pages for the 2019 Maryland General Assembly in Annapolis. Thomas Ridenour of Northern High School and Jillian Gray of Northern High School will represent Calvert County during the legislative session. Sean Hale of Northern High School was selected as the alternate. Dr. Daniel D. Curry, Superintendent, said, "We have so many outstanding students that we wish we could send more. 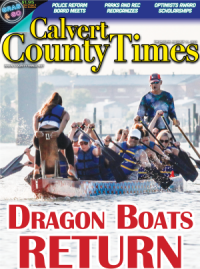 Thomas and Jillian are among the best and we know they will be outstanding representatives of Calvert County." The students selected for this prestigious, highly competitive program demonstrate a strong knowledge base, as well as superior communication and problem-solving skills. Student pages serve two nonconsecutive weeks in either the House of Delegates or the Senate during the thirteen-week session. Their duties include distributing materials to members on the floor, running errands, answering the phone, assisting visitors and delivering messages to members. Begun in 1970 by House Speaker Thomas Hunter Lowe and approved by the Maryland State Board of Education, the program is designed to interest youth in state government, foster leadership and provide students with worthwhile experience in state government. Governor Larry Hogan recently launched "Safe Schools Maryland," a tip line and mobile app designed to streamline reporting of possible threats to students and school facilities. The school safety tip line is coordinated by the Maryland Emergency Management Agency (MEMA) in partnership with the Maryland Center for School Safety. Dr. Daniel D. Curry, Superintendent, said, "This adds another way for students and staff to say something if they see something." According to a press release from MEMA, Governor Hogan said, "Incidents of targeted violence at our schools are rarely sudden impulsive acts; instead, in the majority of these incidents, another person was aware of what the student was thinking or planning to do. We must remain ever vigilant when it comes to protecting our kids, and we are counting on our local school communities, our students, teachers, and parents to work together with us in these important efforts." MEMA has trained existing staff and is hiring new staff to ensure that tip line calls and reports are answered 24/7.